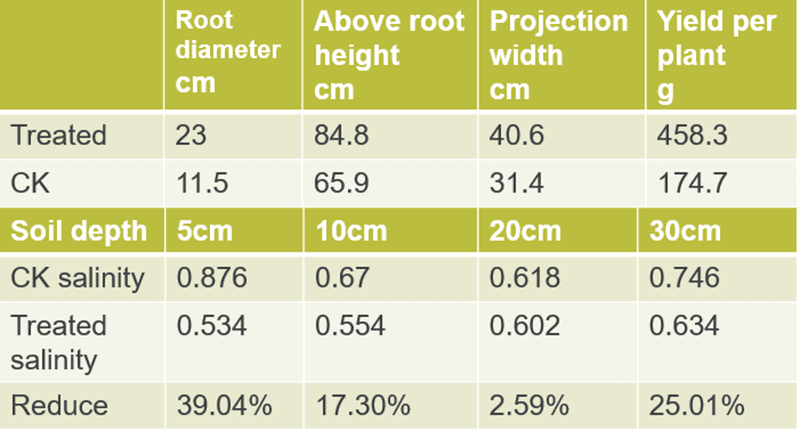 Background:The last time not use Dora RootGuard (Trichoderma harzianum 2 billion), a small hole about 10cm deep was dug between the soils of the two peach trees.Dora RootGuard was applied at a dosage of 75kg/ha. 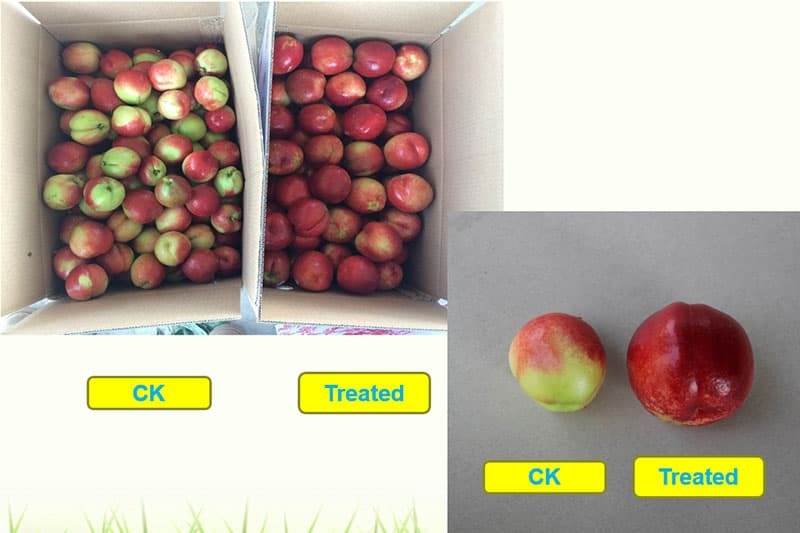 After using Dora RootGuard (Trichoderma harzianum 2 billion),peach production increased by more than 30%.Peach tree height and fruit set rate increased significantly.For the peach fruit,the Treatment group had a large fruit size,which was one month earlier than normal peaches.The color was red and the selling was good.In the CK group,the peaches were generally small,and the fruit part was blue and not fully mature. 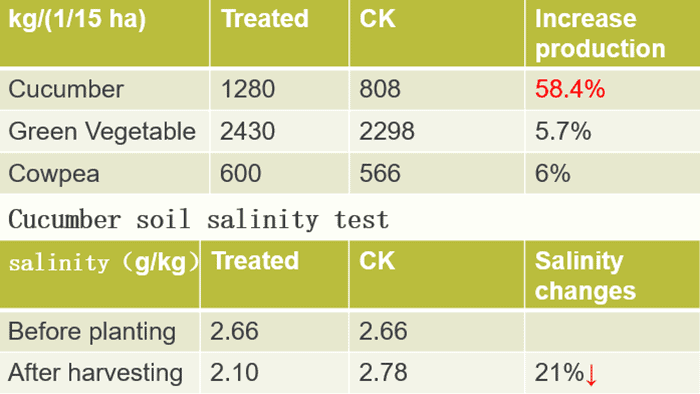 Conclusion:In the soil that used Dora RootGuard (Trichoderma harzianum 2 billion) last time,the salinity was still much lower than that of the control group. The plants grew stronger and the yield increased by 160%. 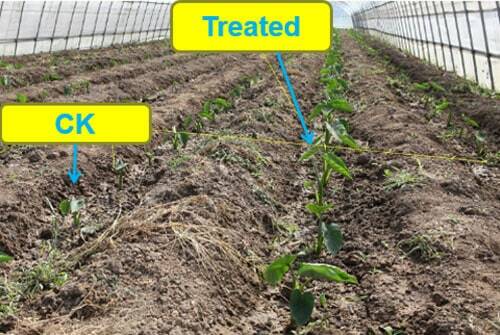 Dora RootGuard (Trichoderma harzianum 2 billion) has a strong sustained effect. Conclusion:Dora RootGuard(Trichoderma harzianum 2 billion) has a certain role in promoting crop production, improving soil, reducing soil salinity, and improving acre yield. 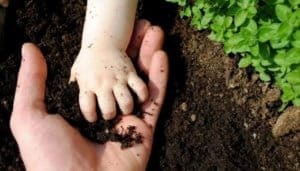 In particular, crops such as melons and beans with a longer growing season have more obvious effects. In the future, this product will continue to be tested on other crops such as cucurbits and other crops, and the use methods and effects of the product will be summarized.This will lay a solid foundation for the promotion and guidance of farmers’ applications.